Soukeina Bouraoui, executive director of the Center of Arab Women for Training and Research (CAWTAR) (Photo: Ibtissem Jamel). TUNIS—Tunisia has seen a marked increase in the number of female judges in recent years. In 2016, women made up 40 percent of those entering the judiciary, compared to 26 percent in 2008, and the gains are due in part to a rise in the number of women studying law and political science, a new study says. 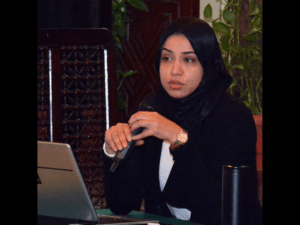 “It is not easy for women to work in the judiciary field in many Arab and Islamic countries for social reasons and because of religious beliefs that give men the upper hand in jurisdiction and arbitration,” said Samira Ayyad, a sociologist who specializes in gender studies at the Higher Institute of Human Sciences of Tunis. Tunisia’s experience, however, shows that it doesn’t have to be that way, she said. Women can succeed in this field. The new study, titled “Profession of Justice: The Reality and Prospects,” was produced as part of a program that seeks to empower Arab women economically and socially, enhance their independence, and bolster efforts to change the stereotypes that hold them back. “Strengthening the participation of women in the judicial sector and promoting their employment is a necessary condition to ensure equality and equity for women in Arab countries,” said Soukeina Bouraoui, executive director of the Center of Arab Women for Training and Research (CAWTAR), which conducted the research in cooperation with the International Development Law Organization (IDLO). The study attributes the advances made in women’s participation in judicial professions to the rise in the number of women studying law. Women accounted for about 75 percent of law students in 2016. At the Institut Supérieur de la Magistrature (Higher Institute of the Judiciary), a public institution under the Ministry of Justice’s supervision, women made up 38 percent of the students in 2016, while across Tunisia, the number of female graduates from university schools of law and the social sciences reached about 67 percent of all graduates in those fields. Fadilah Najih, a researcher at Tunisia’s National Institute of Statistics. 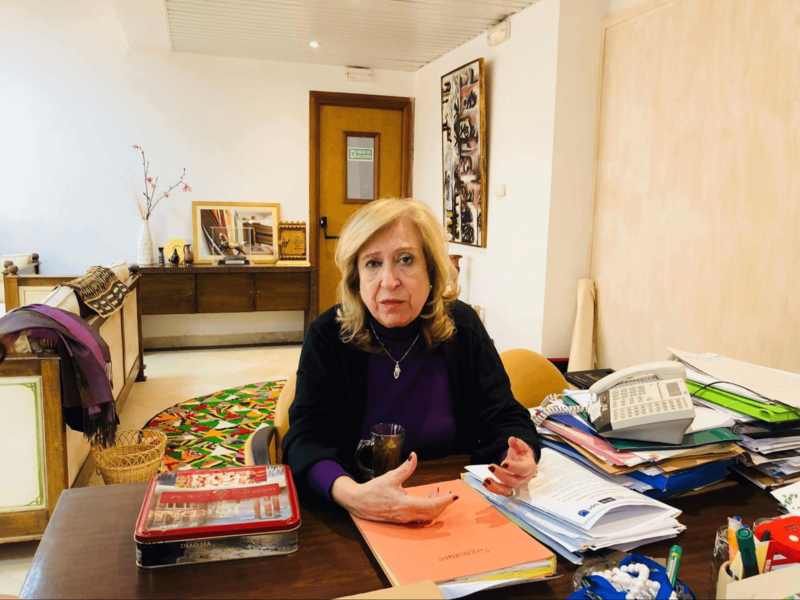 “It was not easy to prove myself in an exclusively male profession in an Arab Muslim society,” said Juwaydeh Jijah, Tunisia’s first female judge. She served in the judiciary from 1972 to 2015 and is now president of the Association Femmes et Leadership (Women and Entrepreneurship Association), an independent organization dedicated to supporting the role of women in business and in public life. “My colleagues and I have worked very hard to prove our competence so the litigant feels confident of female judges and their fairness today,” she added. Before Jijah, Amna Chatius was Tunisia’s first woman selected to be a judge, in 1968, but she moved to the diplomatic corps before taking any cases as a judge, as a result of the refusal of many of her colleagues to accept a woman’s presence in the judiciary at the time. Iraq was the first Arab country to have a woman serve as a judge, in 1956, while Egypt’s first female judge was appointed in 2003. The United Arab Emirates appointed its first female judge in 2008. In Mauritania, the lawyer Umamah Bint Sheikh Sidia became the country’s first female judge in 2014. Ayyad says that while the number of women working in the judiciary increases, men still dominate the legal profession. “Women prefer to be judges because there is a fixed salary and a fixed work-hour system, while being a lawyer requires working at different hours without a fixed salary,” she said. Still, as the rungs of the judiciary ladder go higher, the share of posts held by women decreases. In the nation’s highest court, women make up only 28 percent of the judges, compared to 56 percent at the judiciary’s lowest level. The lack of support services for women in the work force, such as day-care for children and safe, convenient transportation, plays a role in weakening their career development, in the judiciary and in other fields, according to Najih. The new study, which included interviews with 69 female judges, confirmed Najih’s point of view. Fifty percent of them said they believe that child care is the first obstacle to their development and ability to advance within the profession, especially at the beginning of their careers. “Many of us have to hide being pregnant to avoid any accusations of default because of our health situation,” said one of the judges, who asked not to be named. “We are making double efforts to prove our competence and trying to hide any feminine manifestations so as not to be criticized,” she added.